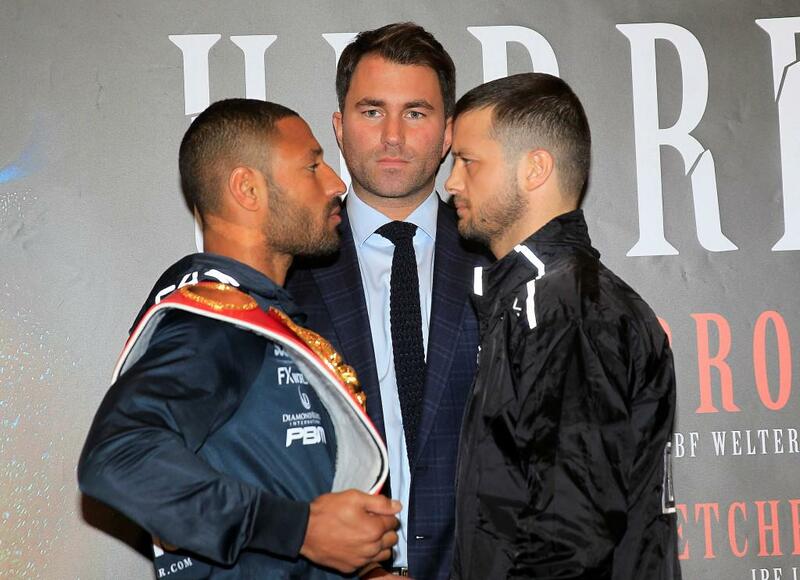 Sheffield will welcome back their hero Kell Brook to the ring as he defends his IBF welterweight title against mandatory challenger Jo Jo Dan. We preview the fight and share our predictions. Back in August 2014, the life-long dream of capturing a prestigious world title finally occurred for Kell Brook after he out-pointed home favorite Shawn Porter in California. As the celebrations transcended for days on end, the Sheffield man was soon to be dealt by a sickening blow on his holiday in Tenerife after being stabbed in the leg; halting his plans of defending the IBF world strap sooner. "The Special One" has now been grafting in the gym and preparing for a tough challenge against Jo Jo Dan who holds and impressive record of 34 wins, 18 knockouts and just two defeats that fell to the same fighter. The Romanian offers a tricky test and hasn't arrived to be Kell Brook's punchbag all night. Some feel that Dan will have his moments against the Sheffield-based man; partly due to his inactivity and inevitable ring rust. This is a perfect chance for Brook to bag some vital rounds in his hometown, dispatch the mandatory challenge and then target massive fights in the welterweight division. I personally don't see any trouble for Brook on fight night and it could just be a long, hard 12 rounds if the world champion is looking to get 36 minutes of in-ring time under his belt. The question lying for the challenger Dan remains the same. Can he offer something different from what Brook has previously faced and expose his opponent's ring rust? If the Romanian is on top form and shape he could make the champion look very ordinary for the opening part of the fight at least. But for Brook, can he display his brutal power and stop Dan, a man who has never been stopped and only holds losses to the same fighter. With the raucous Sheffield crowd set to explode in Brook's favour; proceedings may become very intriguing if both men decide to trade bombs throughout. Also, this isn't a typical orthodox fighter that Brook faces. As noted above; Dan brings a tricky southpaw stance the table and if he can maneuver himself in an anti-clockwise rotation and off-load punches from all kinds of angles then things could get interesting. Although I do expect Brook to coast home, the possibility of being dragged out to a sluggish points decision is also possible. Carson Jones caused Brook major problems in their welterweight slug-fest a few years ago because he constructed a clever game plan. However, in the rematch the Sheffield man finished business with no problems. Final prediction: I think Dan will have the odd flurry, pour pressure on and expose Brook's potential ring-rust but unfortunately the Romanian doesn't carry the quality to dethrone the champion. I'm going for a comfortable unanimous decision win for Kell Brook.